Original Brooklyn’s at Mile High, 2644 W. Colfax Ave. In this presentation Quentin will discuss how company culture has played a role to make informed decisions about technical priorities in the DevOps space at Finalze, a local software startup. At a high level, we will touch on how DevOps infrastructure and process has evolved over time, and how that evolution is a reflection of our core values. One of the big points will be how our 4-day (32 hour) work week has been folded into our DevOps strategy. 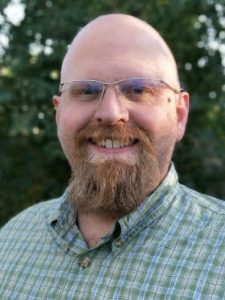 Quentin Hartman is a life long technology enthusiast who has been working in one aspect or another of network and system administration for over 20 years. He is currently working as the Director of Infrastructure and DevOps at Finalze where he is helping the team build great software with a soul. He brings a uniquely broad and deep understanding of computing in general and Linux and Open Source in particular to any task. He is most interested in working with organizations that both use and contribute to Open Source software and are focused on what he considers “work that matters”. The big things included on that list are Open Source technology, education, social justice, environmental and animal welfare, and food security.